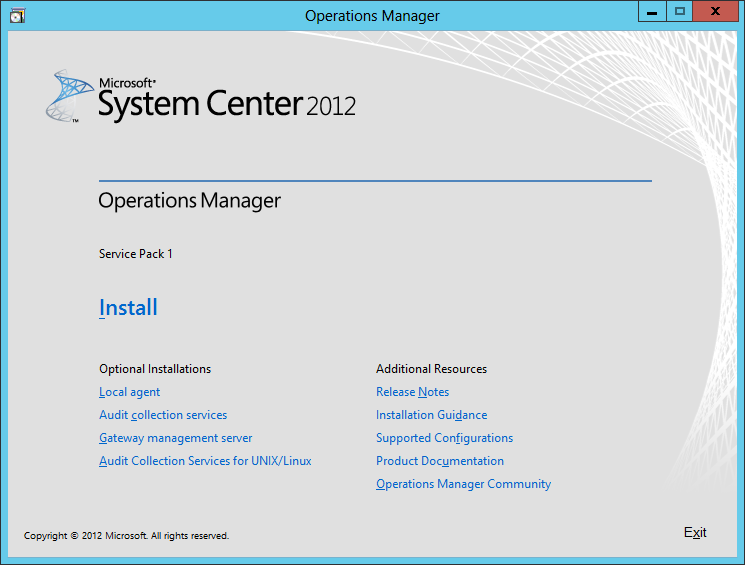 We are now finally ready to install SCOM. 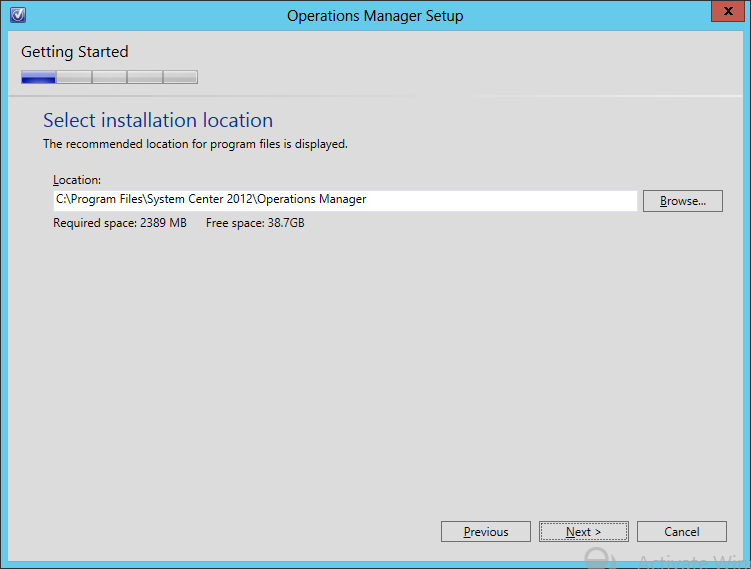 Start by either extracting the DVD contents, or mounting the ISO (the TechNet ISO is currently labelled as en_system_center_2012_operations_manager_with_sp1_x86_x64_dvd_1347175). Start by running the setup.exe. Next chose the location that you want to install the software to, and ensure there is enough space. Then click Next. 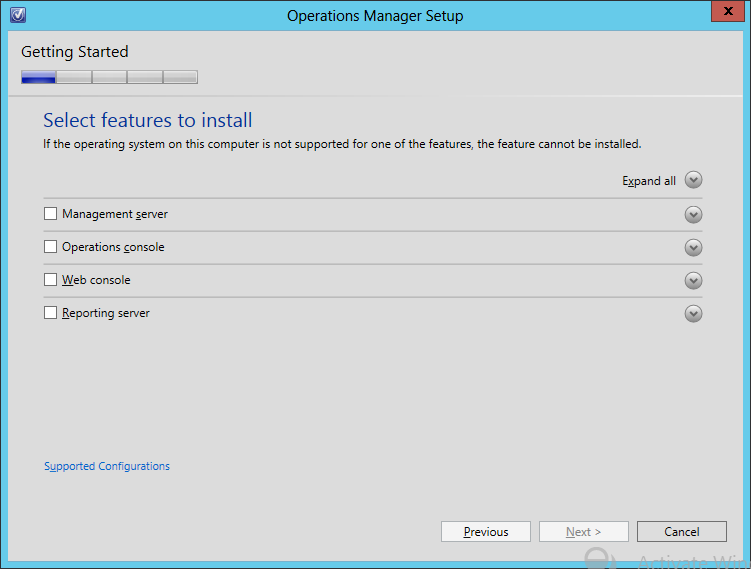 The Setup Wizard will then check the prerequisites that are needed, based on what features you selected to install. If there are any issues you will need to address these before you can continue. Review the information and the resolution(s) provided. 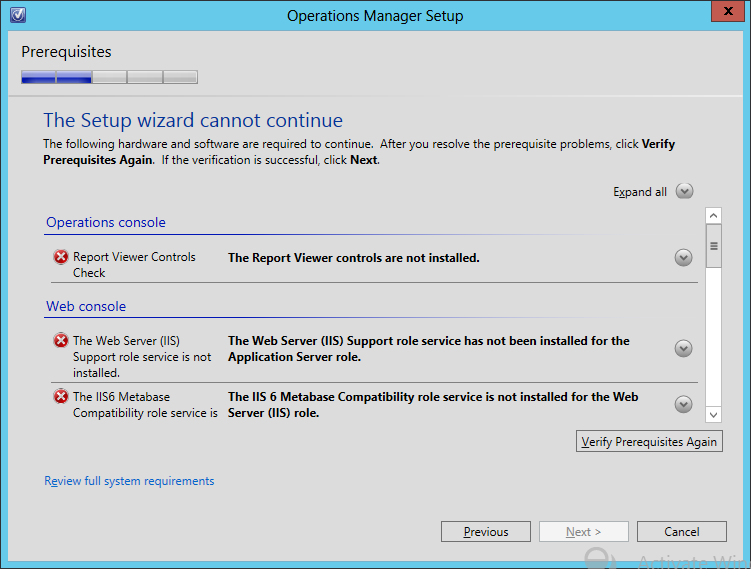 For example, you will need to install the Web Server (IIS) role, including some non-default elements along with the Microsoft Report Viewer 2010 Redistributable Package. 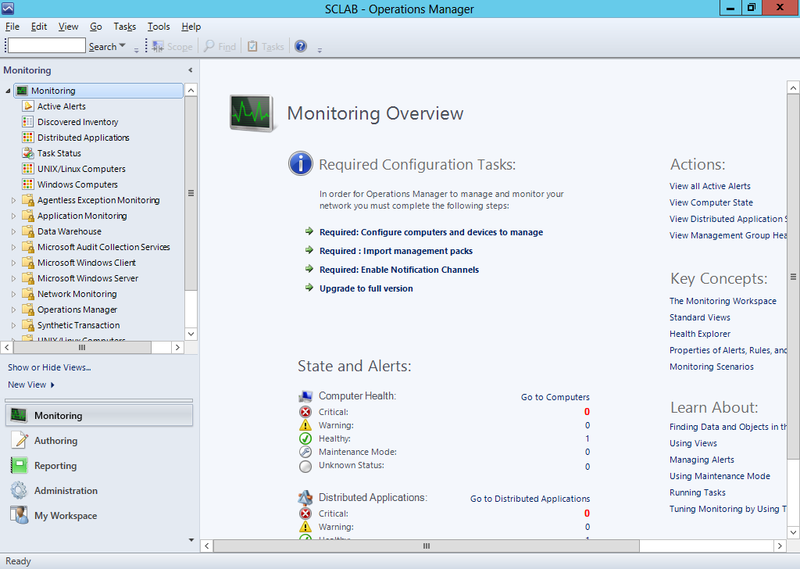 Once you address all prerequisite needs, the setup wizard should appear as follows. Click Next. On the Installation Option screen, choose the appropriate option. 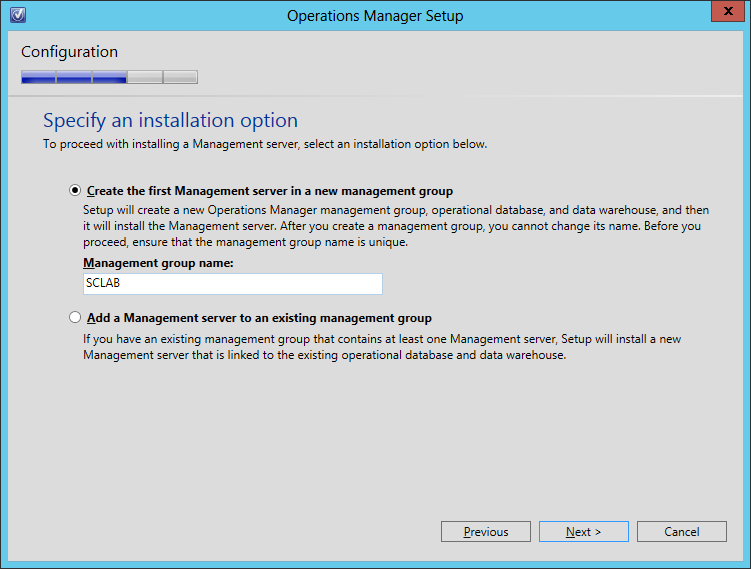 In our example, since this is the first Management Server that we are installing, we will choose the ‘Create the first Management server in a new management group’ option, and also enter a Management Group Name. 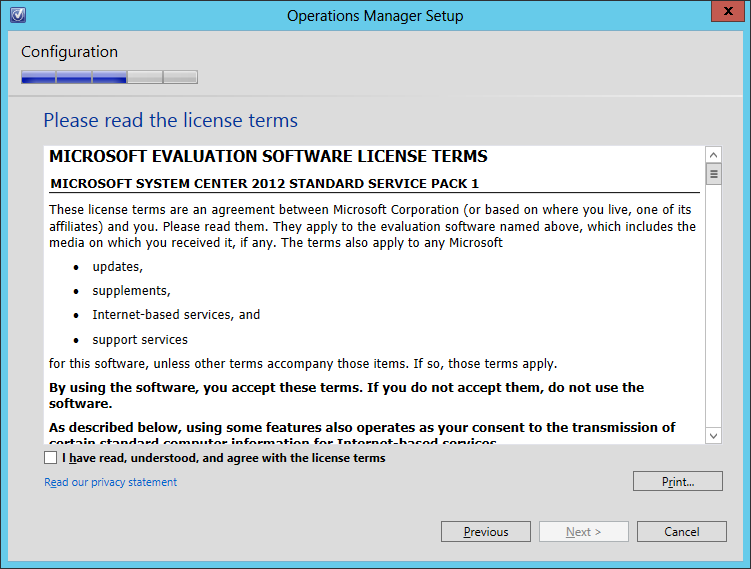 Next read and accept the license terms, and click Next. 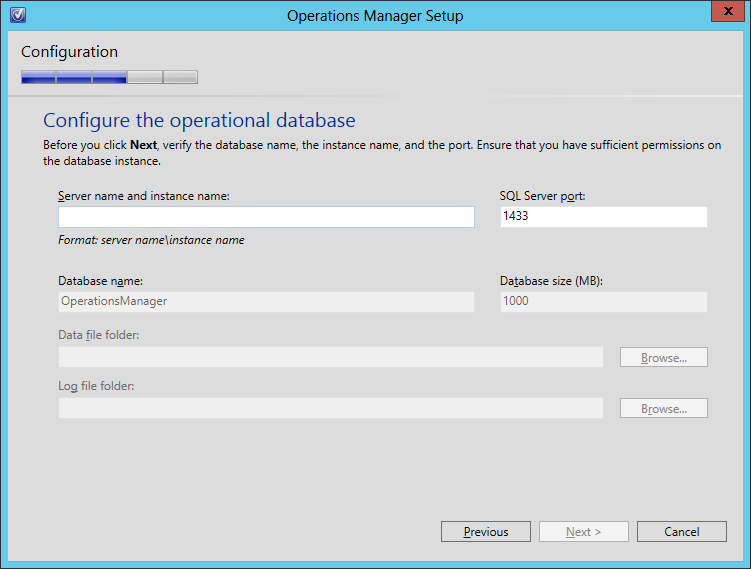 On the Configure Operational Database screen, fill in the SQL server and instance name. When you do, the data and log folders paths will auto-populate. Now click Next. 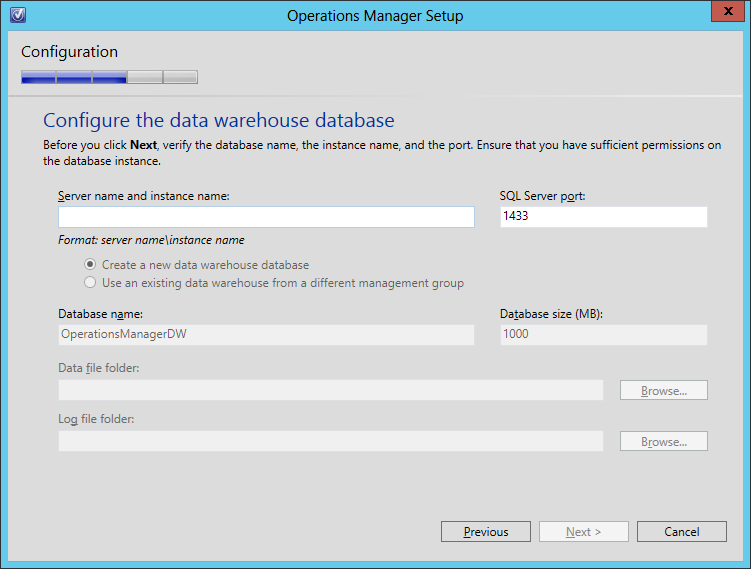 On the Configure Data Warehouse screen, fill in the SQL server and instance name. When you do, the data and log folders paths will auto-populate. Now click Next. 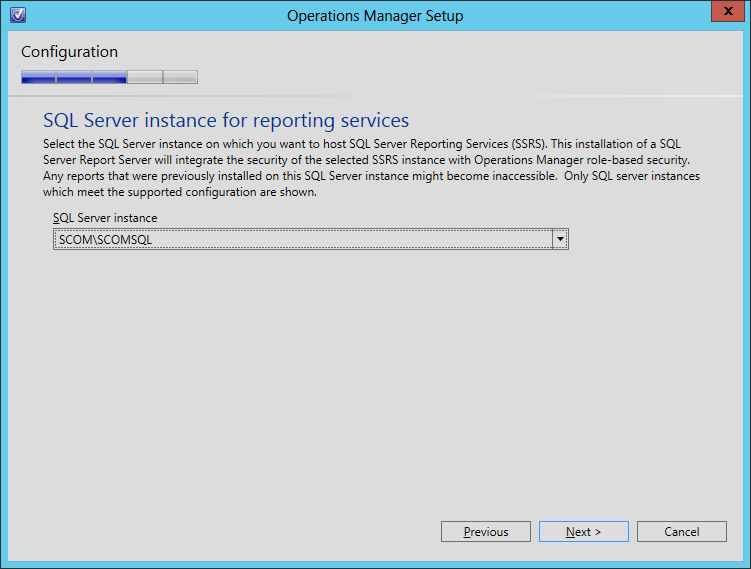 Next select a SQL server instance to use for the Reporting Services, then click Next. 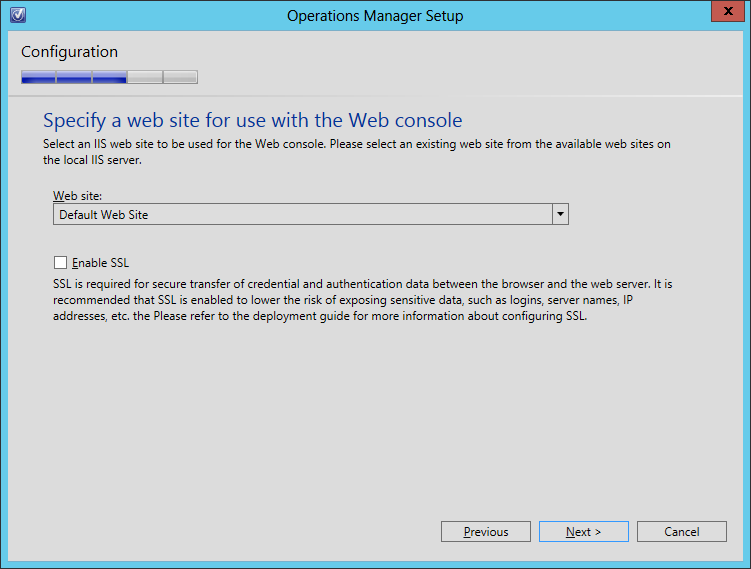 Next select the IIS website to use for the Web Console, and then click Next. Note: if you chose to use SSL, you will need a certificate. 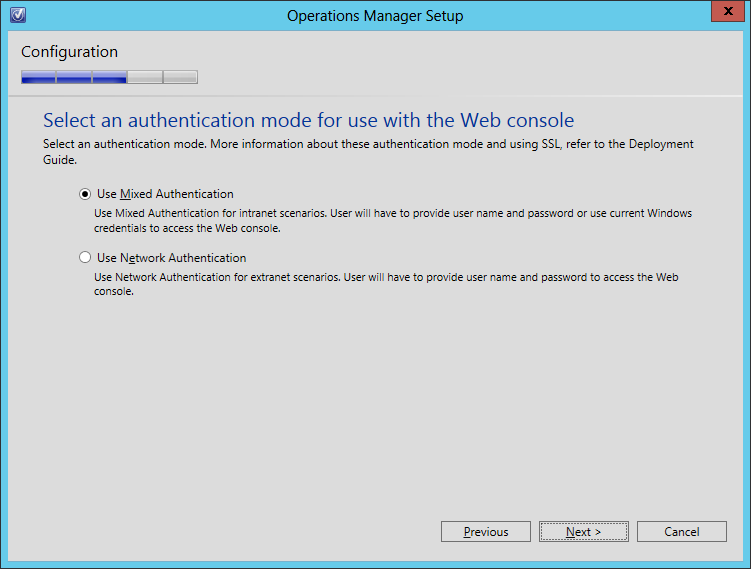 For the Authentication Mode, chose the applicable option based on how you plan on using the web console. For our example, we will only use it in an Intranet environment, so we will choose ‘Use Mixed Authentication’ and click Next. 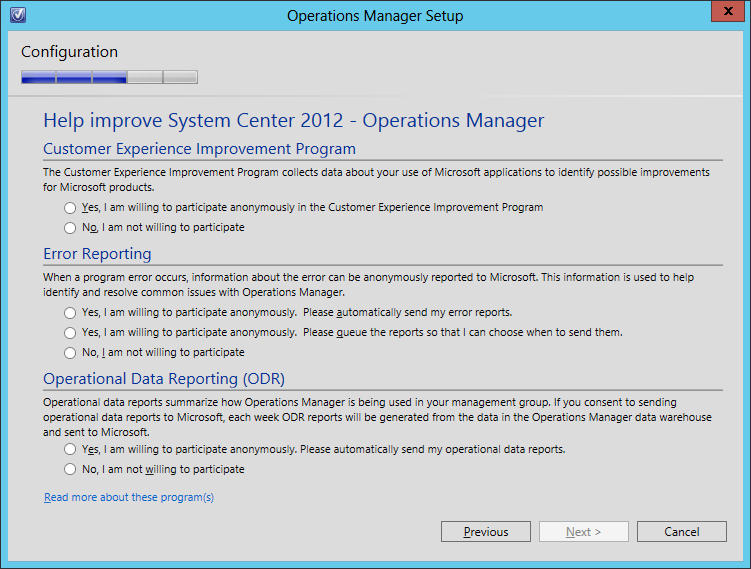 For the Operations Manager accounts, fill in the appropriate information and click Next. 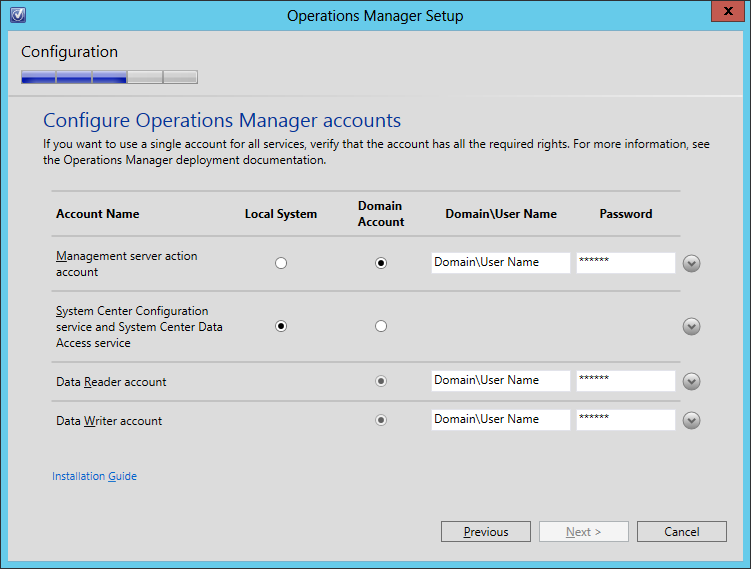 Note: As part of your preparation for installing SCOM, you can follow your provisioning process and have these accounts pre-created. You should also take note of the level of access each account requires. You can choose if you want to participate in the Customer Experience Improvement Program (CEIP). Make your choices, and then click Next. 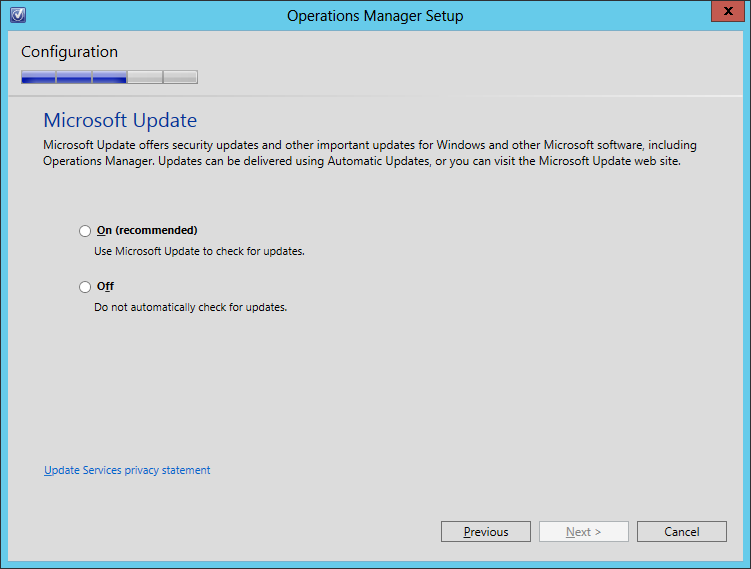 For the Microsoft Update screen, choose if you want to automatically apply updates. Note: In a Production environment, you will probably not want to turn this on, because there are applicable change management procedures to follow, and you should test updates in a non-Production environment. 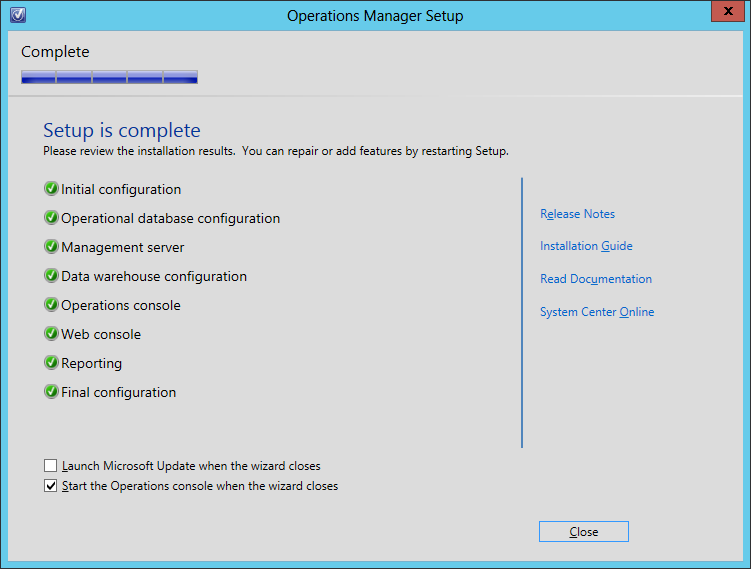 On the Installation Summary screen, review the input and selections made, and click Install. The installation may take several minutes, but once it has been completed, click Close. 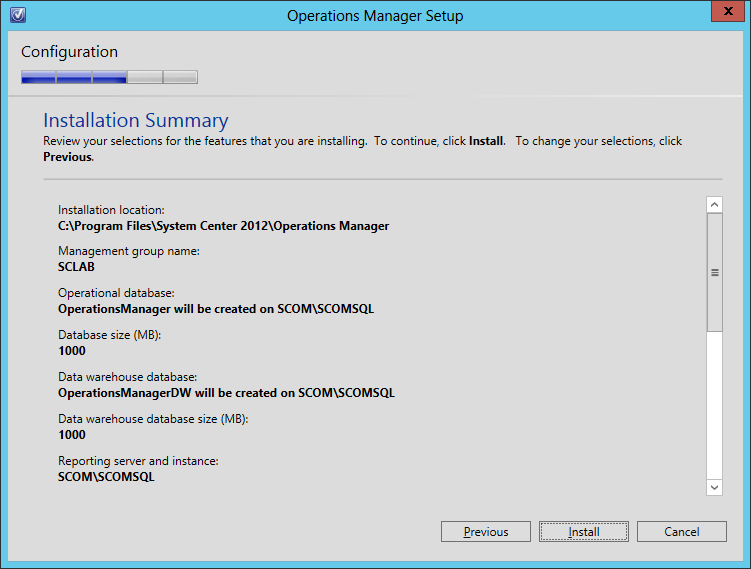 Note: If you do not want to launch the SCOM console immediately, then de-select the ‘Start the Operations console when the wizard closes’ checkbox. 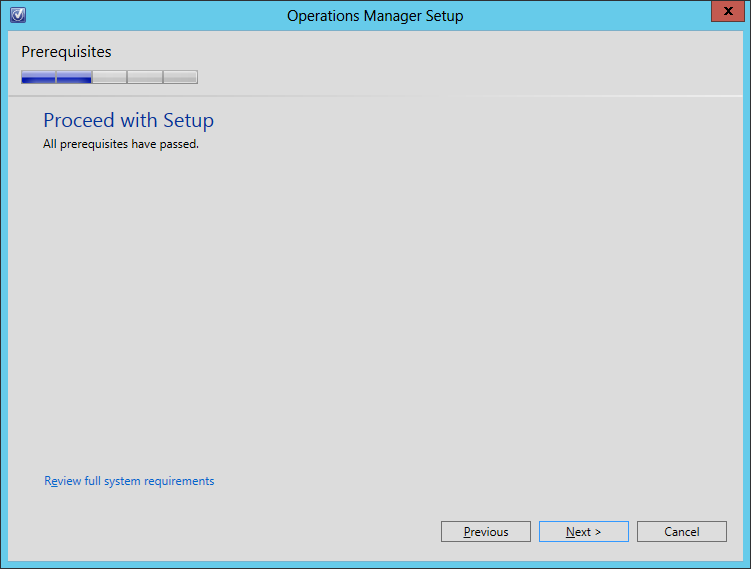 Congratulations, you have now successfully installed SCOM! In the next part of the series, we will install Audit Collection Services (ACS), since it is not a part of the main installation.